I just love these, they are so cute. Don't you sometimes just want a little bite instead of a slice? This is the answer. Easy and fun to make. Bring these to your next party and I guarantee they will disappear. These are perfect for Thanksgiving and the holidays. The only problem is, it's hard to eat just one! 1. Place all ingredients in a large bowl and toss together. 2. 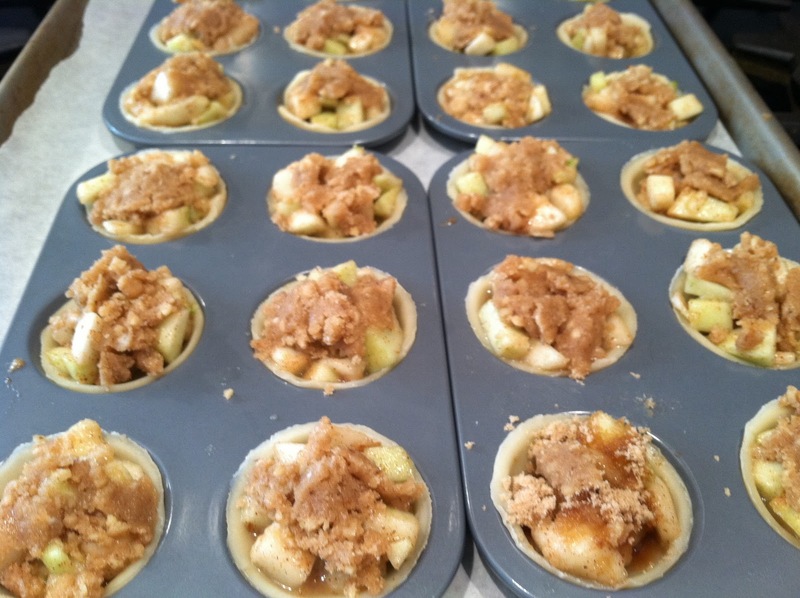 Use Pillsbury pie crust to make the cutouts and place in a non-stick mini muffin or tart pan. 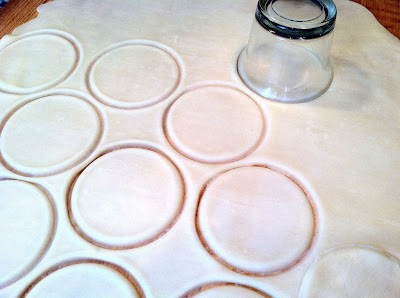 Use the top of a glass that would be large enough to cover your size muffing pans. 3. Place a good heaping spoonful of apple mixture into each cup. The apples shrink down. 4. Place a teaspoon of the topping, recipe follows, on each cup. 5. Bake for approximately 25 minutes until golden brown and the apples are tender. 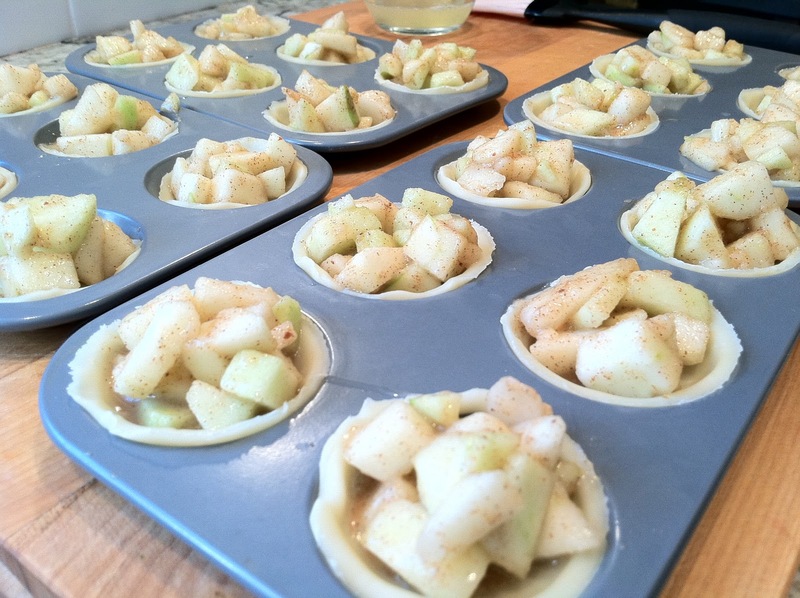 If the topping spills over on to the pan, move it back on to the apples while it is still hot and it will be fine. 1. Pulse all ingredients in a mini food processor until the walnuts are very finely chopped and you can't see them. Place a spoonful of mixture on top of each apple cup. 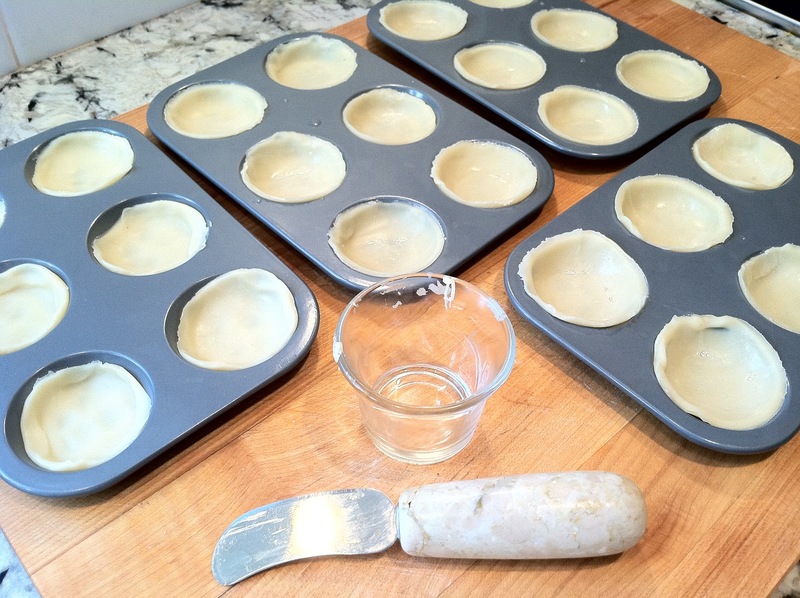 A butter dish is perfect to cut out the dough. I used the bottom of a rounded cheese knife to gently mold the dough. The apples bake down so fill them good. Mini apple pies ready for the oven.